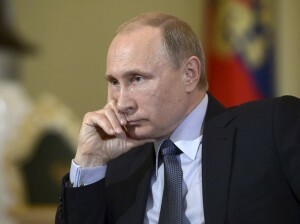 The reason Putin will succeed where the US failed in its war on ISIS, is because the Russian air-strikes are going to be accompanied by a formidable mop-up operation that will overpower the jihadi groups on the ground. This is already happening as we speak. The Russian Air Force has been pounding terrorist targets across the Idlib Governorate for the last few days as well as ISIS strongholds in the East at Raffa. On Sunday, according to a report filed by South Front, roughly 700 militants surrendered to members of the 147th Syrian tank brigade shortly after bombers had attacked nearly cities of Mardeij, Ma’arat Al-Nu’man, Jisr Al-Shughour, Saraqib and Sarmeen. This is the pattern we expect to see in the weeks ahead. Russian bombers will soften targets on the frontlines, ground troops will move into position, and untold numbers of jihadis will either flee, surrender or get cut down where they stand. Bottom line: Syria is not going to be a quagmire as the media has predicted. To the contrary, Putin is going to cut through these guys like crap through a goose. “Lieutenant General Andrey Kartapolov, head of the Main Operation Directorate of the General Staff of Russia’s armed forces, said the strikes have significantly reduced the terrorists’ combat capabilities.” In other words, the Russian offensive is already producing positive results. This is no small matter. By most accounts, the conflict had deteriorated into a stalemate. Now, with Russia in the picture, that’s changed. Now the table is clearly tilted in Syria’s favor.